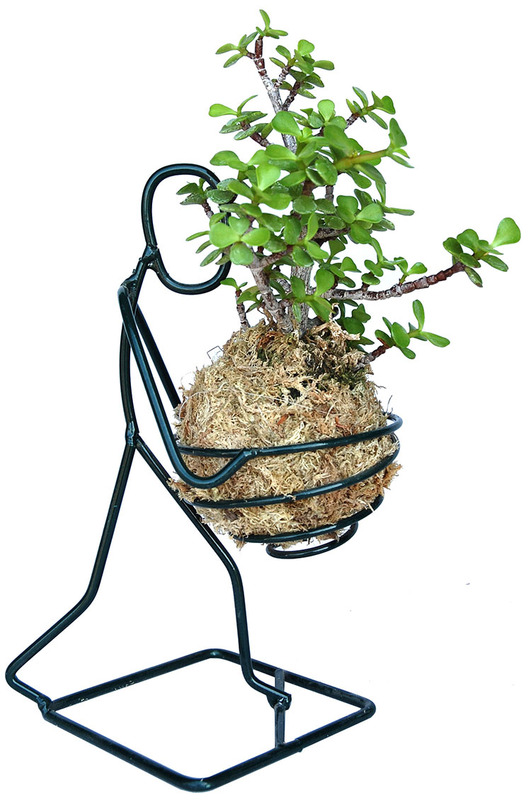 Real life kokedama Elephant Bush (mini jade) succulent along with Little Gardener holder. Metal (dark green paint finish) holder is 10" high or long. Overall height with plant 14" to 16". Simple to care as most of succulents are.